We actually did it! 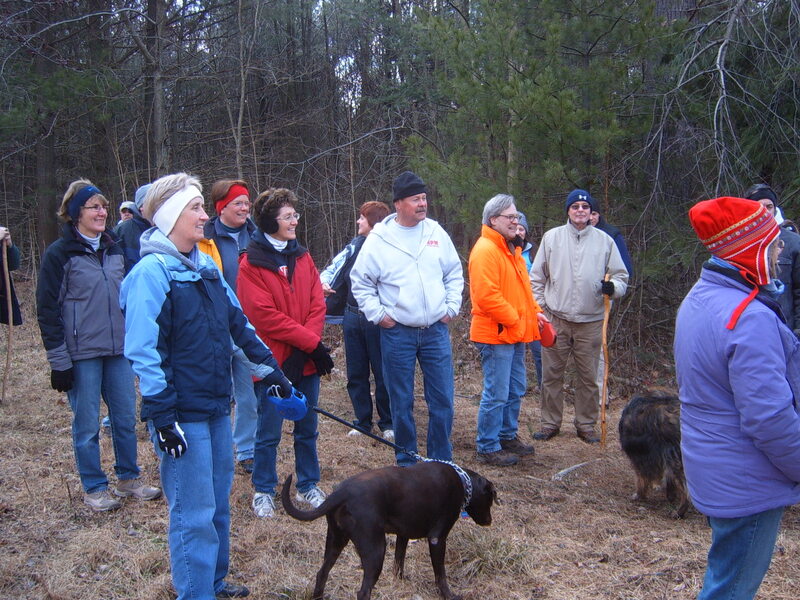 We held our first South Mountain Ramble on Feb. 25, 2012. Our leader Mary Caldarelli did a great job in leading us on an interesting ramble up Old Ship. Road, past Tom’s Run, through a turkey habitat, past Camp Michaux and then back down via the AT and Sunset Rocks trail. It is a good thing that Kim doesn’t estimate the length of her sermons the way that she estimates the length of the hike. It was a lot longer than 90 minutes, but who cares when you’re having fun! 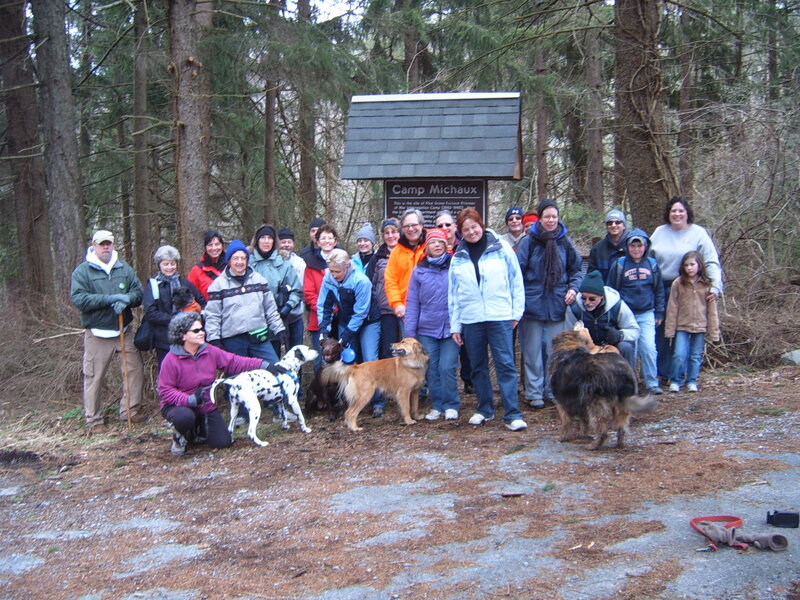 The many canine hikers had a great time getting to know each other–maybe a little too well in some cases! Everyone was a good sport to come out in brisk, windy weather. It was a great morning on the mountain. 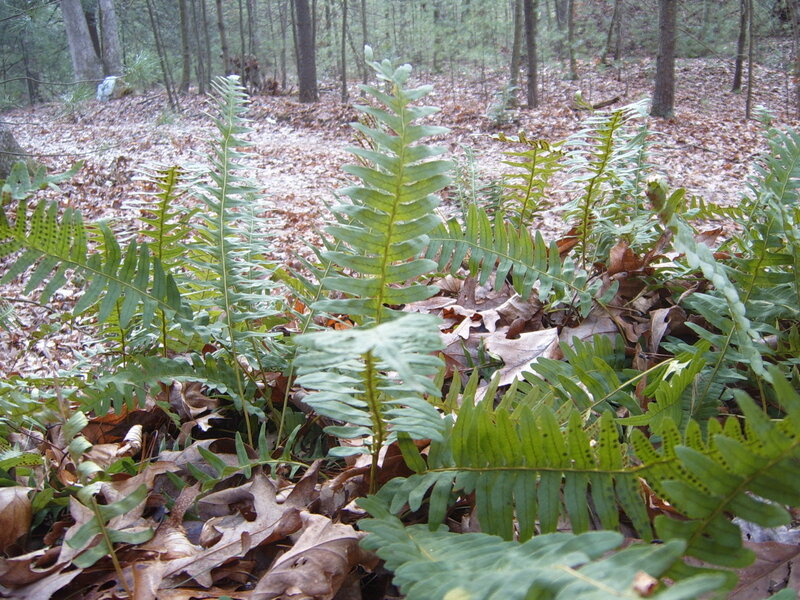 Next month we hike in the afternoon on March 24. Details will be posted soon.